As the blog has been focused on my most recent litter of puppies, I haven’t had time to fill you all in on BB’s big adventure. 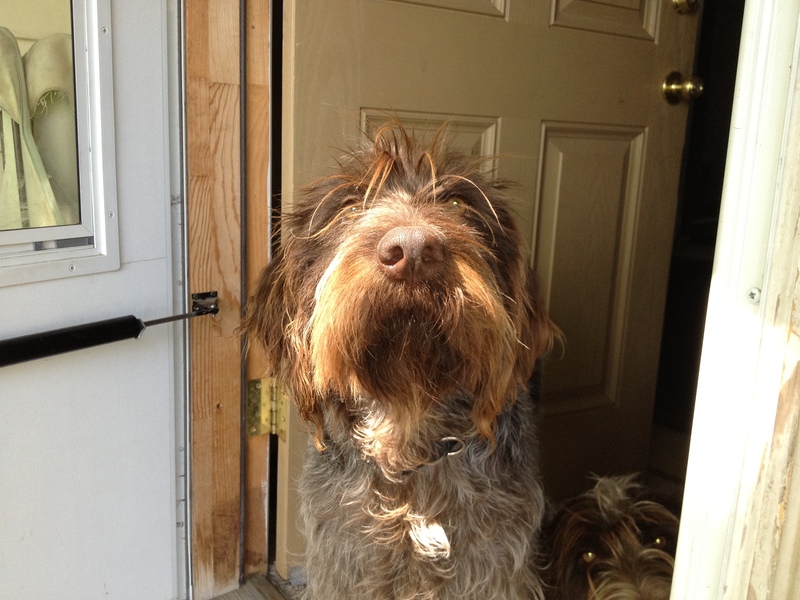 For those of you who don’t know, BB is our year old female griffon that we imported from Quebec City, Canada. Her first breeding isn’t planned until 2014, as we have high hopes for her in competition prior to breeding. 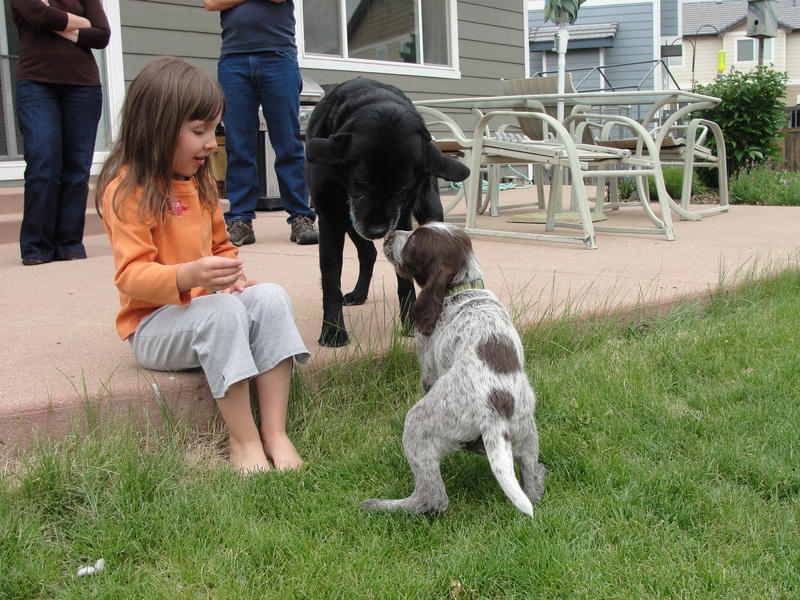 Her first AKC event was at the German Shorthaired Pointer Club of Lincoln’s AKC Hunt Test on March 10th (yes, the same day the puppies were whelped). Charles and BB left early, but I made sure that Mae was done whelping, cleaned out the whelping box, cleaned up Mae and then the kids and I headed down to Lincoln to watch BB’s first run at the AKC Junior Hunter title. It was a hot (mid-70’s) and windy day, there were several dogs that came out of the Junior Hunter field with zero bird finds. Experienced handlers looked on skeptically as Charles and BB entered the field. 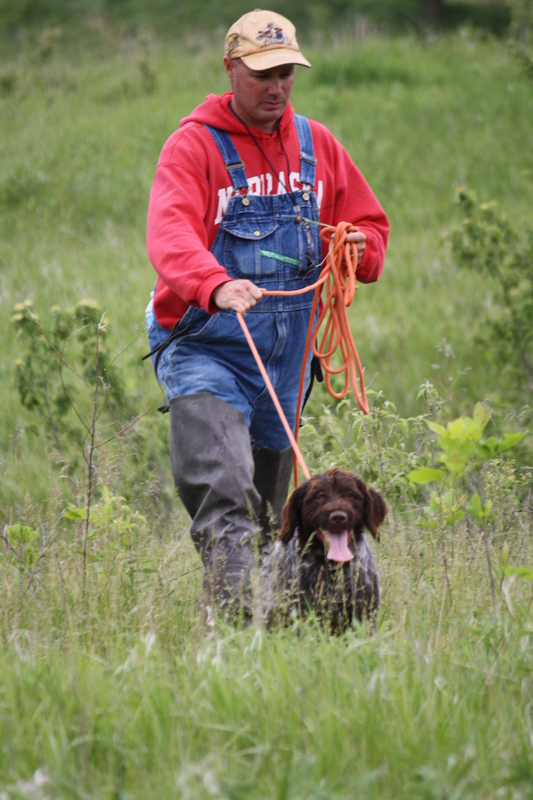 The Junior Hunter run is split into two parts, 8 minutes in the “back field”, where there are no birds planted, but they are expected to search, then another 8 minutes in the bird field, where the dog is expected to find and point birds, then the handler flushes the birds and fires a blank pistol on the flush. It is also done in a “brace” with two dogs and two handlers, so you are having to “outfind” the other dog/handler in the bird field. I was tickled to death after BB’s 8 minutes in the bird field, she had found and pointed 6 birds! 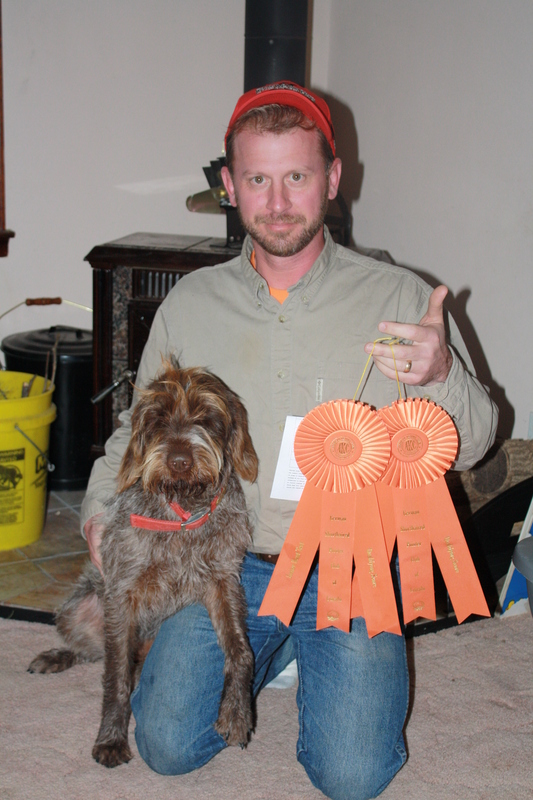 The AKC Junior Hunter title consists of 4 legs of the same event, so BB finished her second leg with GSPCL the following day, then completed her final two legs on March 31st with the Missouri Valley Brittany Club and on April 1st with the Nebraska Vizsla Club. 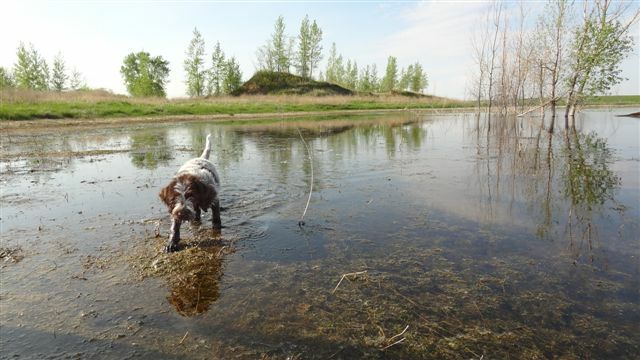 All four runs were done at the famous (in the field trial/hunt test world) Branched Oak Lake Field Trial Grounds in Raymond, Nebraska. 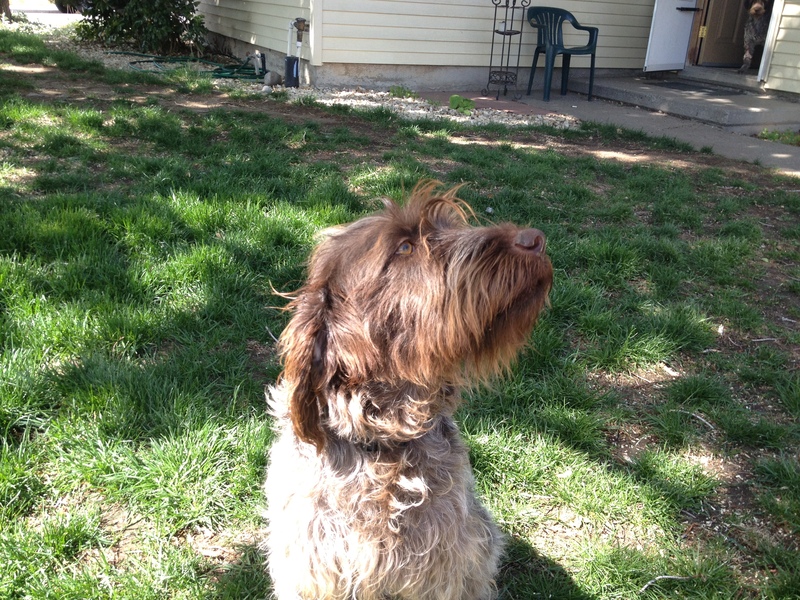 On Saturday, April 14th, Charles and BB went out to play a very un-griffon game known as the AKC Walking Field Trial. 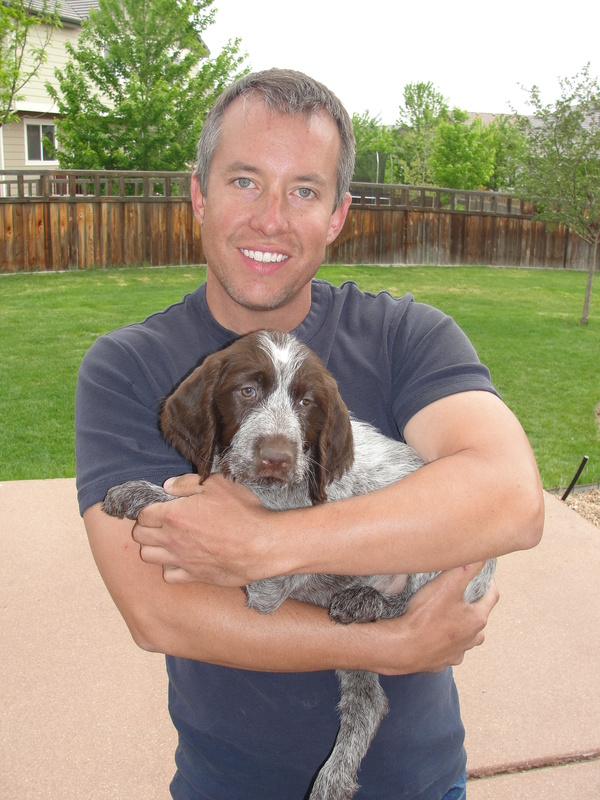 They were entered in the Amateur Walking Derby and the Open Derby stakes with the Heart of America German Shorthaired Pointer Club in Hillsdale, KS. I will let Charles speak to this in his future blog post on Versatile Hunter (versatilehunter.com), but it is more of a running game than a bird finding game. 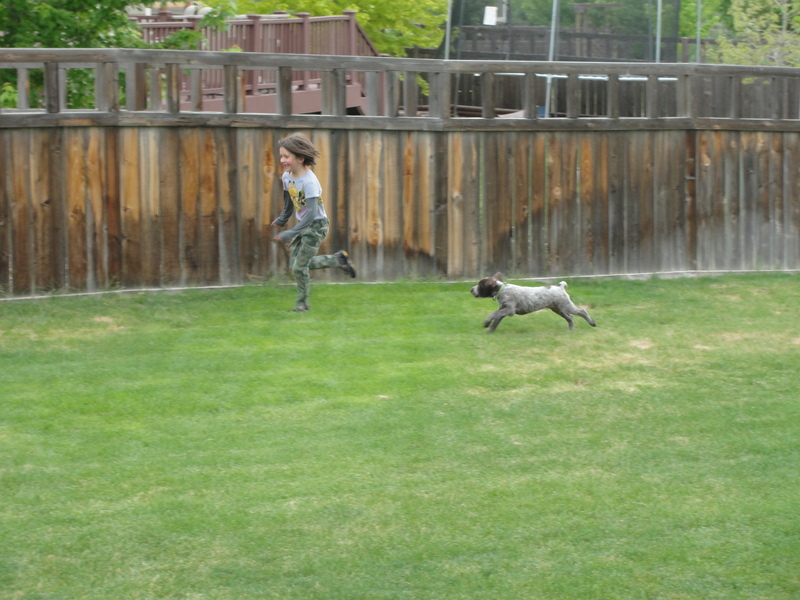 Yet it was a good time for them both, they had fun and got more experience with AKC competition. 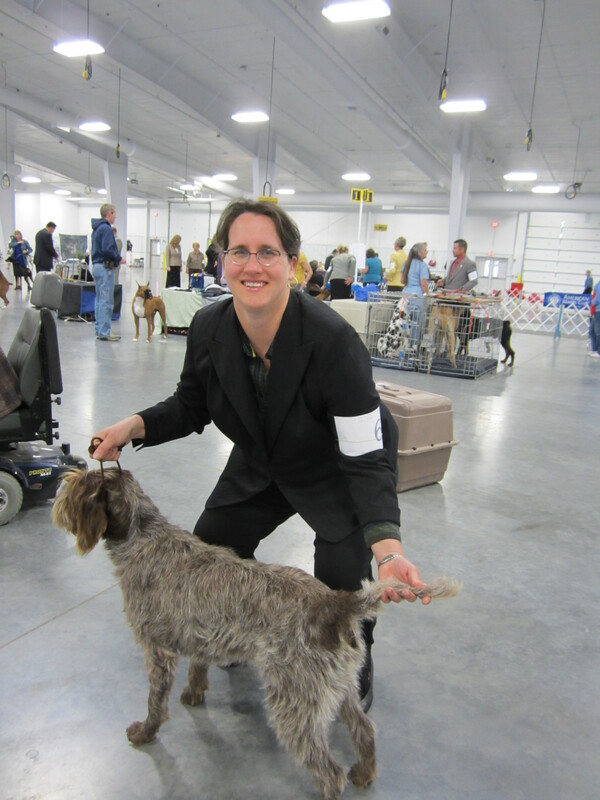 In April, BB and I participated in two AKC Conformation Dog Shows. I used to be very skeptical of dog shows as some sort of beauty contest for dogs, but as a breeder, the AKC puts pressure on you to get your dogs into the show ring, as the dog show’s purpose is to evaluate the quality of AKC breeding stock. We attended the Grand Island Kennel Club dog show on Saturday, April 21st, then the Seward County Kennel Club show on Sunday, April 29th. We took home first place, best of breed and winners ribbons from both shows, but we were the only griffon participating. The judges did say that she is a quality animal. 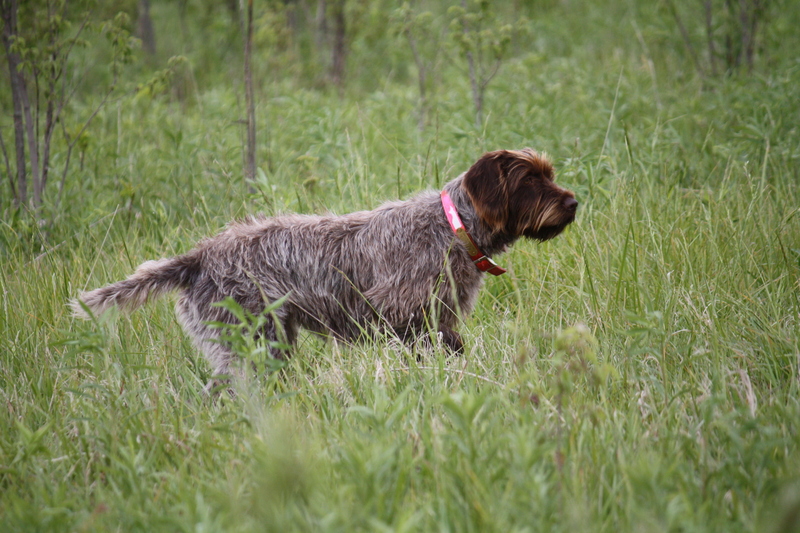 It was pretty intimidating getting into the sporting group ring with professional handlers, but we are getting more comfortable in the ring and are looking forward to what looks to be our first “major” show (multiple griffons in attendance) in Lake Minnetonka, Minnesota in June. Last weekend we ran BB in the Heartland Chapter of NAVHDA (North American Versatile Hunting Dog Association) Natural Ability test, which consists of a 20-minute field search similar to the AKC JH, a seperate bird track, where they are tracking a running pheasant, then a water retrieves of dummies. BB scored a Prize I on the test, with a perfect score of 112! BB is now officially known as AKC/NAVHDA Bourg-Royal’s CB Bluestem JH NA 1. We hope to keep adding to the titles over the next year or so! Our co-owned year old female, Velma (AKC/NAVHDA De Jac’s Zip-A-Dee-Doo-Dah) also had a perfect score of 112 on the NAVHDA Natural Ability test, with first time handler (and co-owner) Aaron Klusmire. Congrats Aaron and Velma!! Sue is looking quite pregnant and I’ve started putting the heavy feed to her in preparation for her final weeks of pregnancy. I suspect we have about 3-4 weeks to go before I’m back on litter duty! Thank you to all of my owners for the photo contributions! 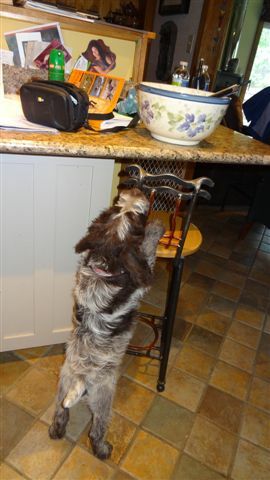 We’re going to keep busy here with dogs and more puppies, and of course we’ll keep you posted as it all unfolds!